I don’t know why the feeding of children is always such a hot topic. Babies need to be fed. If they are getting the nutrition they need and are growing, who cares if it is breastfeeding, breast pumping, or bottle feeding, right? Right. Even though I’m primarily breastfeeding this time, I’ve been on both sides of the formula/breastmilk persuasion and have really struggled with being able to exclusively breastfeed – it was especially difficult with my first child so I stuck to formula feeding for him. All of my kids are happy and healthy though so it honestly didn’t make a ton of difference either way in the end. 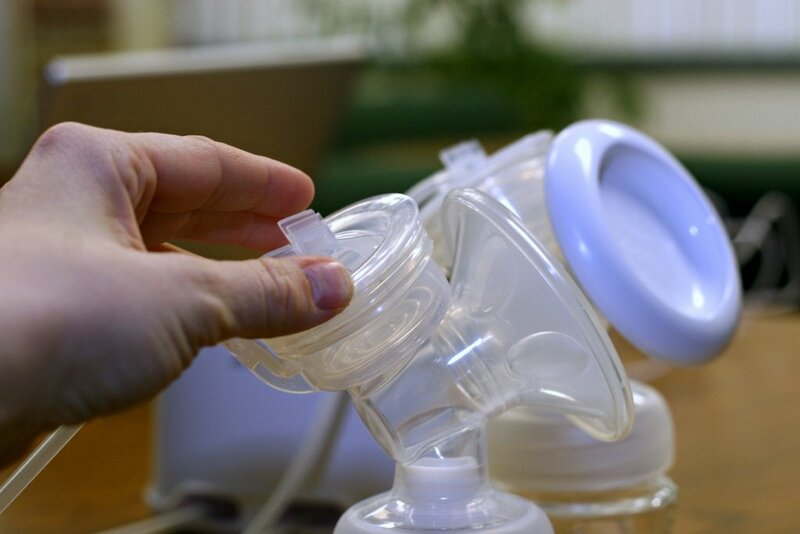 If you are thinking about breastfeeding and/or pumping or have struggled with either, read on. If you want to formula feed that’s awesome as well. Stick around in the coming months as I discuss great bottles for both scenarios! My first child was formula fed from about two weeks old because at that time (a brand new mom with little education and support when it came to breastfeeding) I had given up. This was due to a painful latch, feeling like my child was not getting enough nutrition, and not knowing what other options I had. I didn’t even own a pump because I had no idea how to use one or that this was an option. As most moms do, I’ve come a really long way since that first experience, and I’ll be honest, it has gotten a LOT easier with each child. My second child latched much better, and even though I did still have a bit of pain (latch still not perfect), I felt more confident in what I was doing and I asked a lot more questions. I breastfed until she was about 6-7 months old, at which time I switched over to formula when my low supply could no longer support my baby girl’s growing appetite. 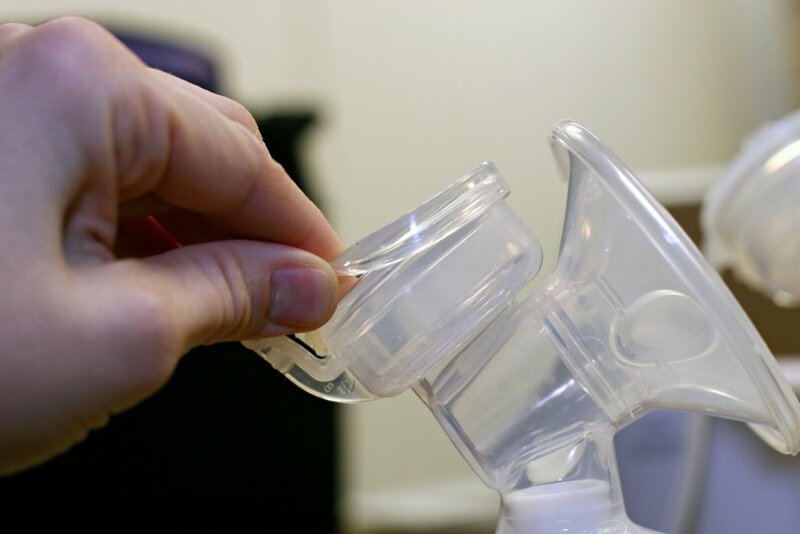 I had tried an inexpensive breast pump, but I wasn’t able to express much milk with it. At most, I was getting about one full ounce out of a 20-minute session. Definitely not enough to make it worth my time. My third and now fourth time around have been the easiest. Both of my younger kids latched like pros, and I have had zero pain with my youngest. 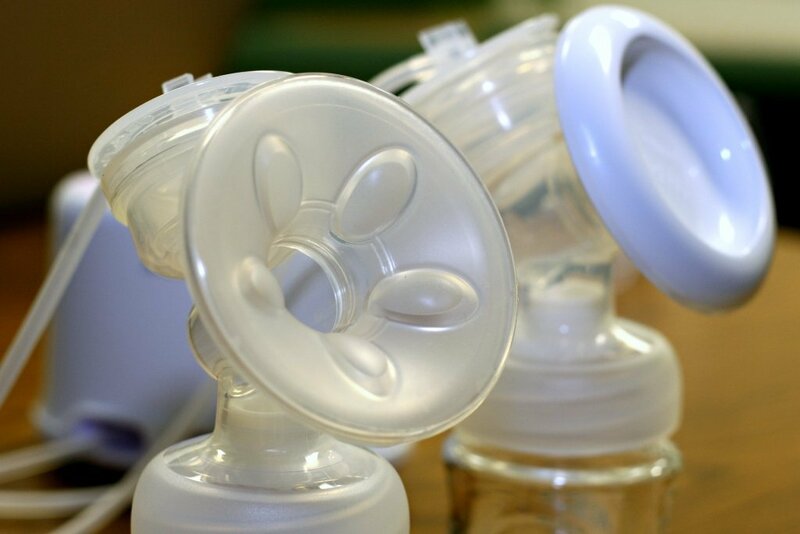 Since it is important for me to keep my supply up and have milk on hand for when I am not available, I am also sure to use a breast pump. While breast pumping has never been my favorite thing because I feel like I’m tethered down with little to show for it, I have grown in experience and education over the course of the last eight years. With Isaac, the youngest of four, I am actually home more often than I was for any of my other children as I decided to be a stay at home mom. I still work part-time, but I’m home more than I’m not. I absolutely love that I can feed him on demand and I don’t have to worry about bottles too often, but for those times I am away from home, I am very grateful for my new Avent Comfort Double Electric Breast Pump. I've never been able to pump more than an oz at a time before. Thanks to some lactation cookies and this awesome pump I've increased tremendously so far. Only up from here! #LoveIsInTheDetails #babygear Thanks, Avent! 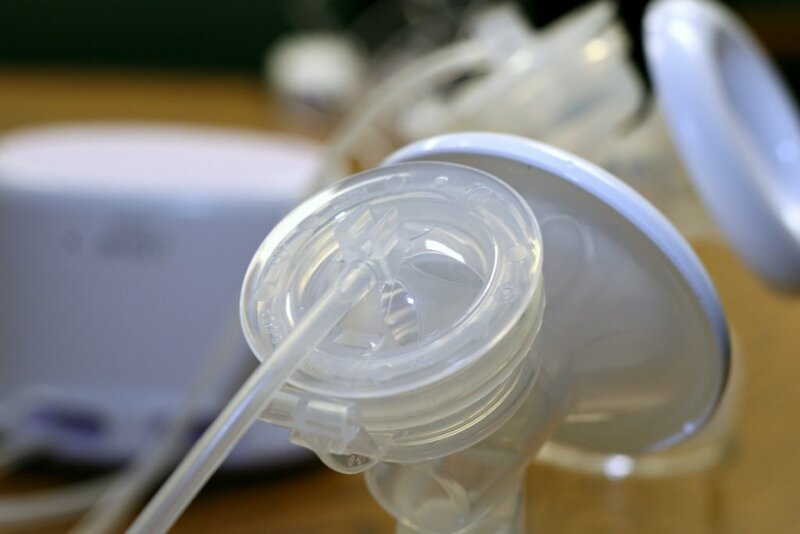 I had almost decided not to pump at all this time around as I didn’t have a great experience the last time using a hospital grade pump I had got from a medical supply store, but then I was offered the chance to use the Avent pump. After using it only one time I have completely changed my mind. Not only is this pump much more comfortable for me due to the massaging petals in the soft breast cushion, but the unique design allows me to sit upright and express more comfortably — plus I am actually getting out more than an ounce at a time. I’m not sure if that last part has to do with the pump itself, or that I simply have more supply this time around, but I am very happy with the results! If you are having trouble with breastfeeding I suggest talking to your hospital’s lactation consultant as they are a great resource for you, and you can typically get questions answered very quickly. If you want online support, there are tons of forums and websites available. Two I like are KellyMom and breastfeedingusa.org. 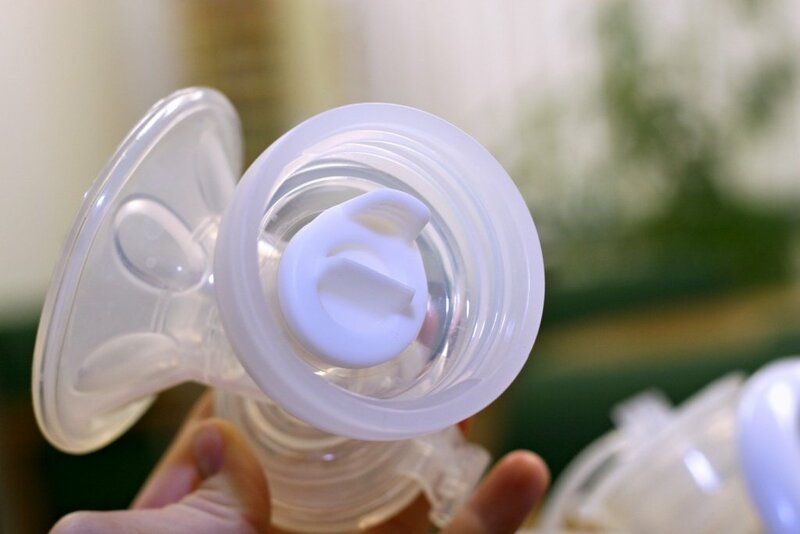 A lactation consultant can also assist you in making sure you are getting a correct fit with whatever pump you choose so that you can achieve the results you are hoping for. No matter what, choose a pump that is going to work well for you. I really believe that a great pump can make all the difference so selecting one is not a decision you should take lightly. You can become easily frustrated if things don’t work the way you had expected and hoped them to. This is why I feel it is important for you to do your homework. You want a pump that is not only comfortable but also powerful. The Avent Comfort Double Electric Breast Pump is one I highly recommend as it is super powerful yet very comfortable, and when you are comfortable and relaxed your milk flows more easily. The massaging petals that come with the Avent Comfort create a comfortable seal between you and the pump. They are designed to mimic baby’s natural sucking to help stimulate and let down milk and flow, but for me they just equaled comfort and I absolutely love this feature. 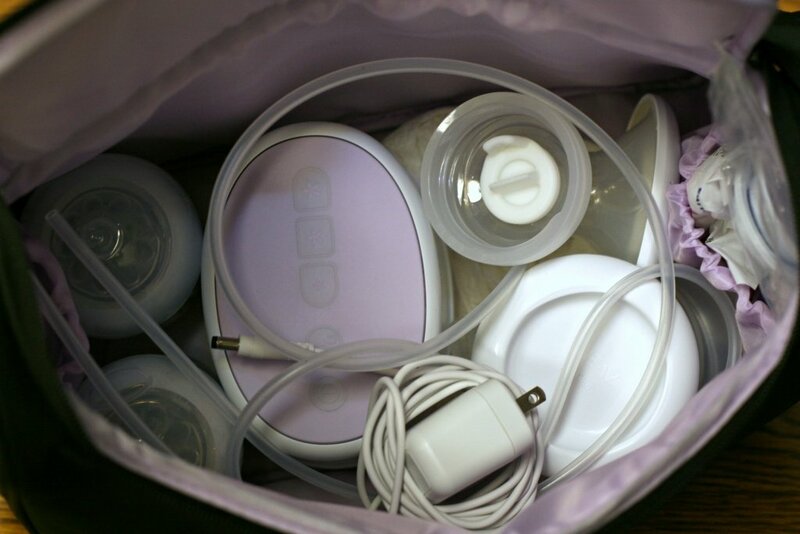 The petals also have an included cover so nothing gets dirty before you are ready to start breast pumping. One tip I will give you is to make sure the edges of the cushion are sealed properly around the lip of the plastic or the suction won’t be as good as it should be. There is a gentle stimulation mode and 3 pump settings. The pump automatically starts in stimulation mode, and I’ve found that letting it run in this mode for the full two minutes really does help to get my milk moving. After that, there are three settings to choose from so you are getting milk at a rate that is most comfortable for you. I also love that the design is so simple. The pump itself doesn’t take up very much space at all, and all of the parts are easy to figure out. I’ll be honest here, I didn’t read any directions and was able to start using this pump with ease. It was simple to figure out where each piece went and then plug it in and start expressing. The flange goes into the piece that attaches to the top of the bottle. It is a nice and sturdy flange so I don’t think this will ever need replacing, unlike some other models I’ve had in the past where you need to replace the lips of the flanges often. There is another round silicone piece that goes into the spot where you will attach the pump hose (opposite where the petals are). Again, be sure the seal is tight around the plastic lip. The plastic suction base goes into the silicone piece pictured above. And finally your air hose gets attached to this piece. 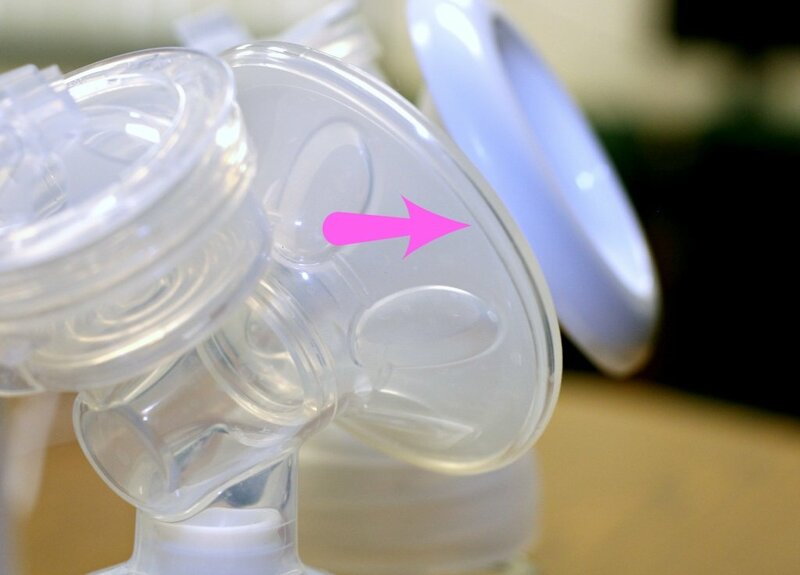 Simply screw the pumping mechanism onto your bottle and you are ready to go (any Avent bottle will work, I’ve been using the bottles that come with the pump and my old glass ones). The pump also comes with this very slim carrying case. 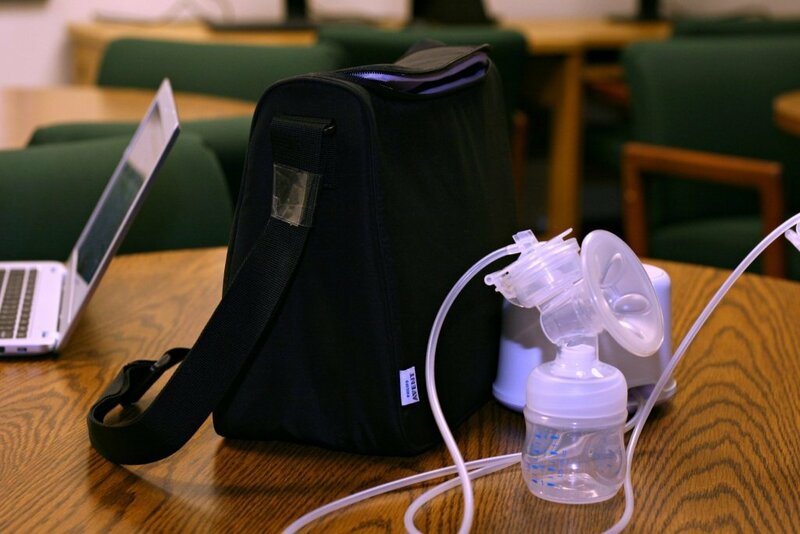 I like that it isn’t bulky and doesn’t take up a lot of space, but I do think it could be just a tad bigger because once you get all of your pumping gear in there isn’t a lot of room for ice packs or extra milk bags that you would need to carry around extra milk. 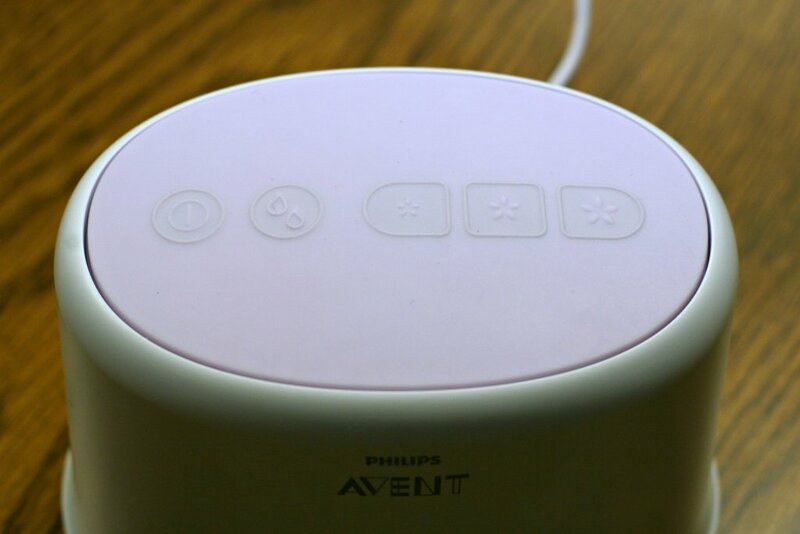 Try the Philips Avent Comfort Double Electric Breast Pump for Yourself! Enter the giveaway below for a chance to win your own pump. There are 20 available! PreviousLearn about Top Engineering Jobs at Ask an Engineer Sessions Nationwide! NextDisney’s Alice Through The Looking Glass to feature Pink!